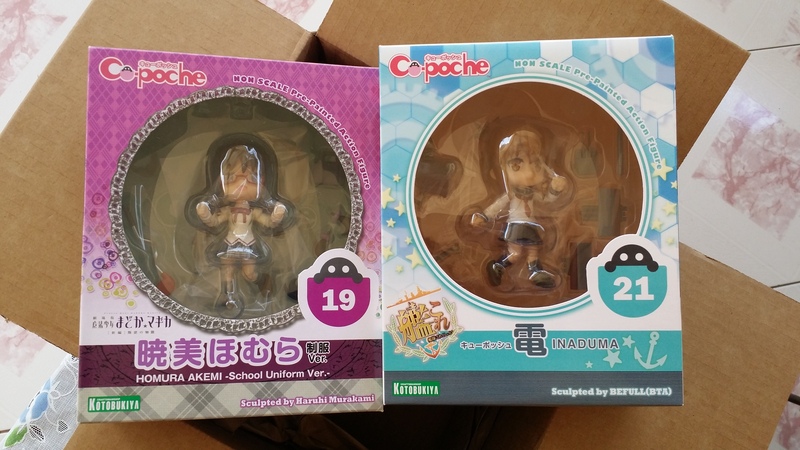 Our figure for today is none other than Cu-poche Akemi Homura Uniform Vers. 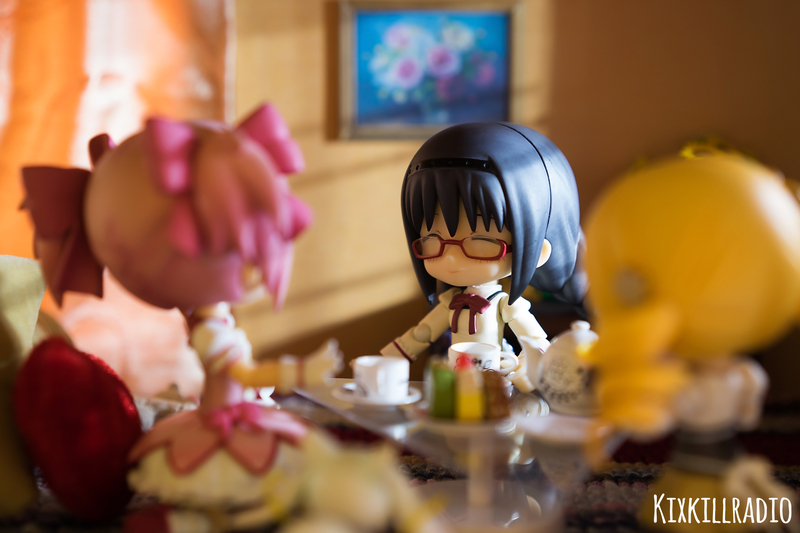 from Puella Magi Madoka Magica Movie. 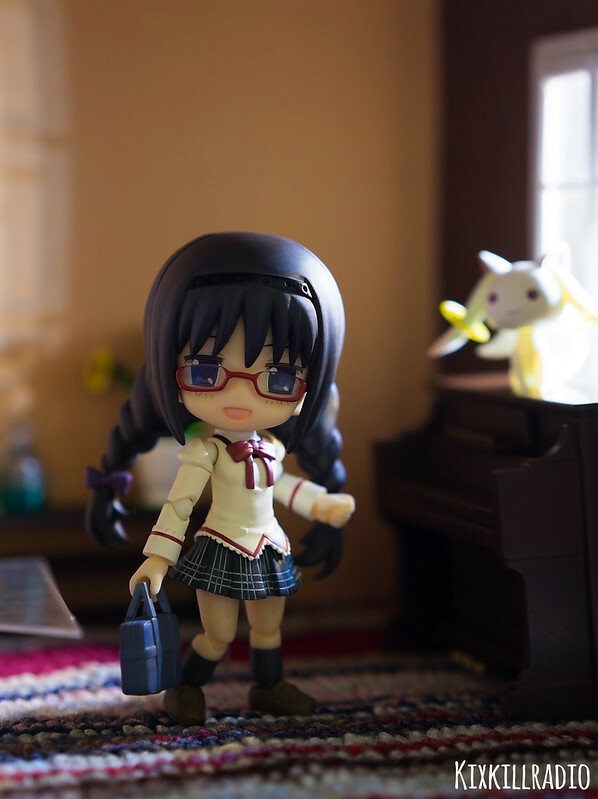 When I saw Homura in her uniform, her sweet smile and other expressions make me want to hug her. 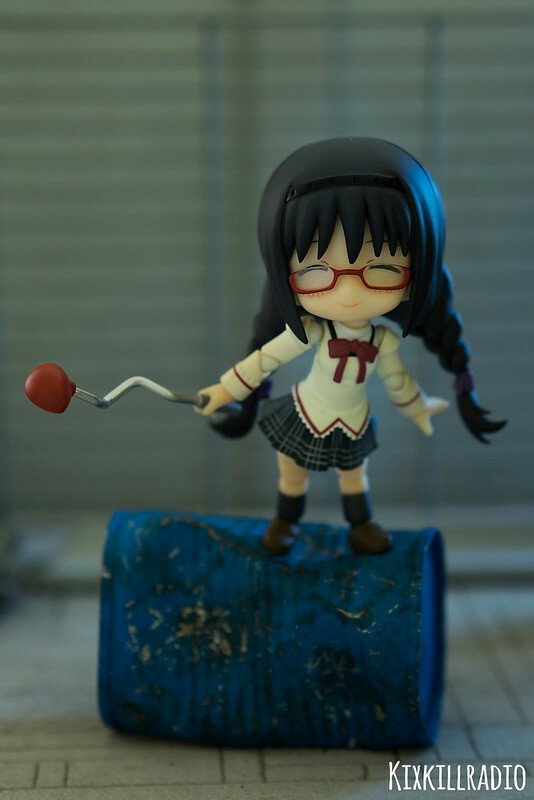 Let’s take a closer look at the figure. 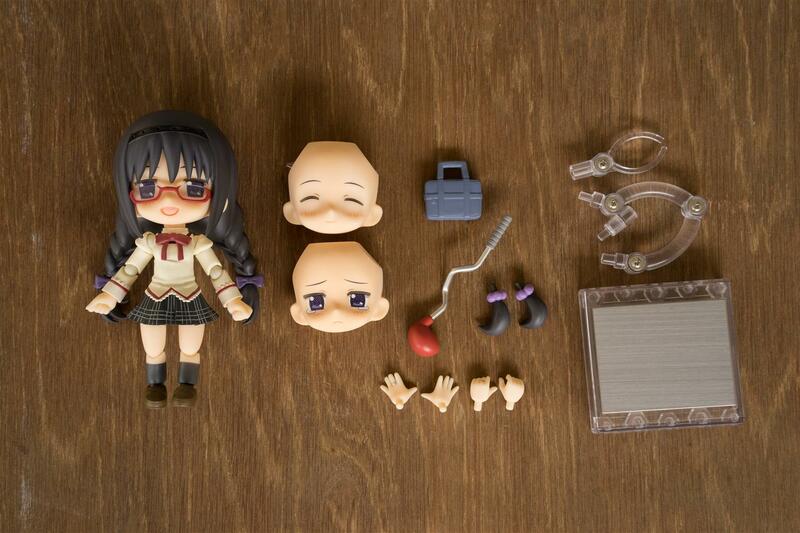 The package consists of 3 face parts (sweet smile, smiling and crying), school bag, bent golf club, hand parts, extra hair part and base stand. 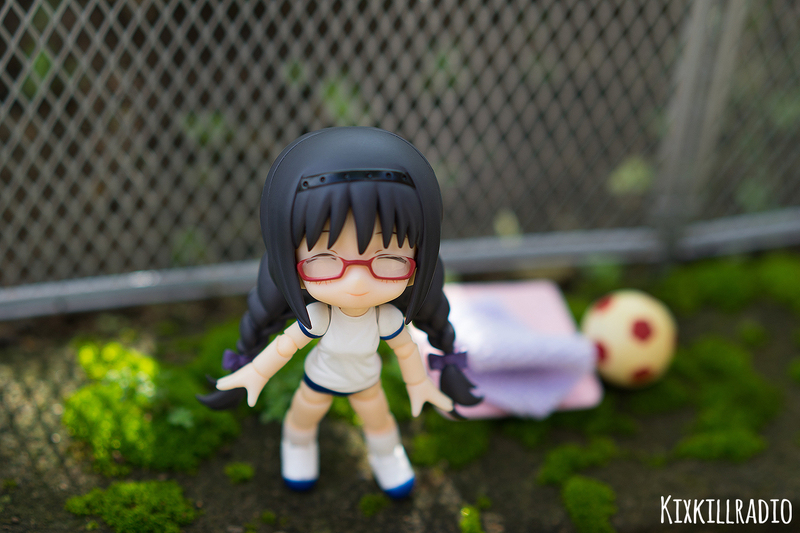 Cu-poche’s articulation allows you to pose her in every human pose as possible which I am about to show you today. 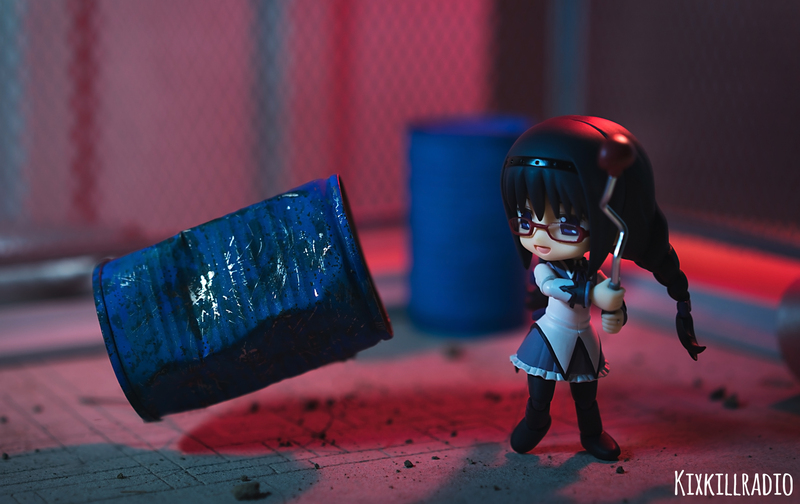 In today’s photo shoot, I experimented with lighting. I want to achieve a lighting that looks natural as possible when your inside a home. 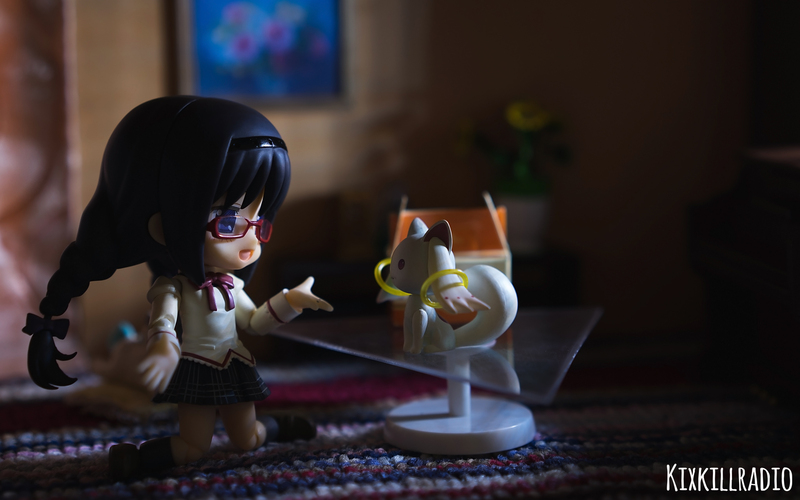 I set Homura in low light environment and use the light from the miniature window to illuminate her. I can’t.. 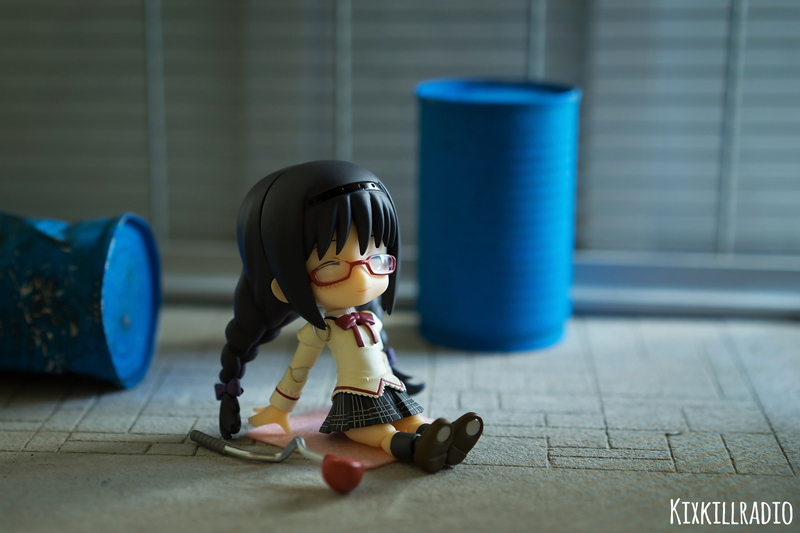 I can’t do anything.. I only cause trouble to others..
A cup of tea makes everything better.. 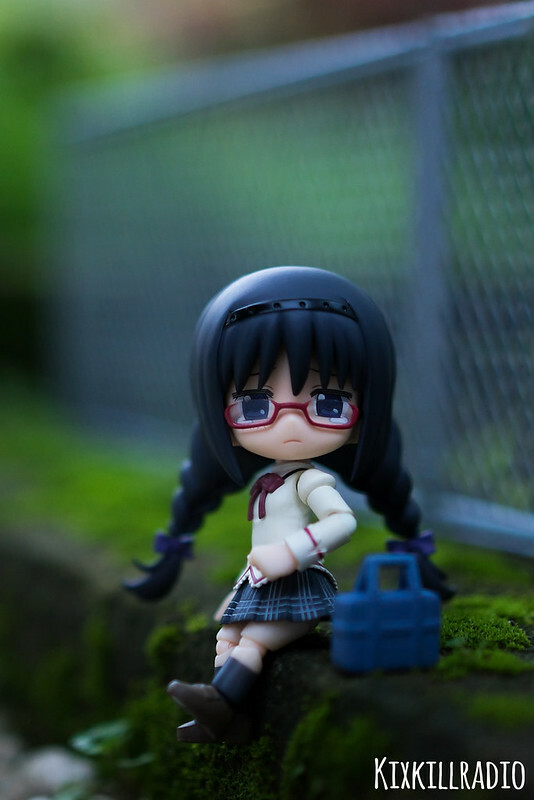 I want to be strong enough to protect her! 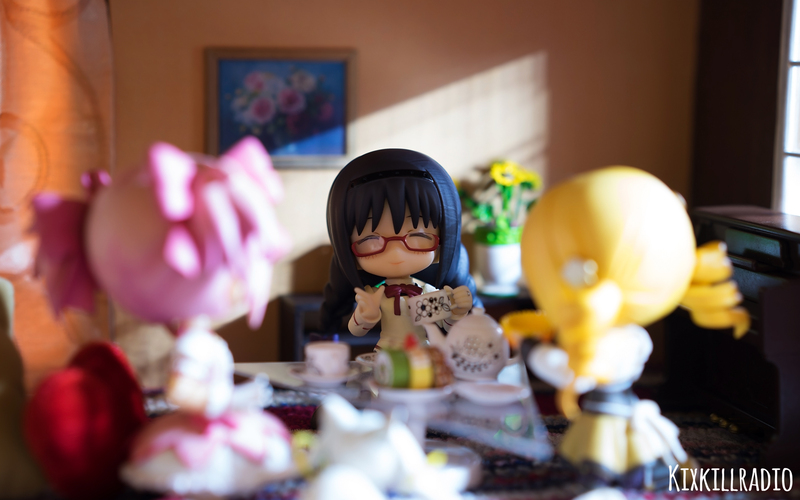 Madoka my one and my only friend. 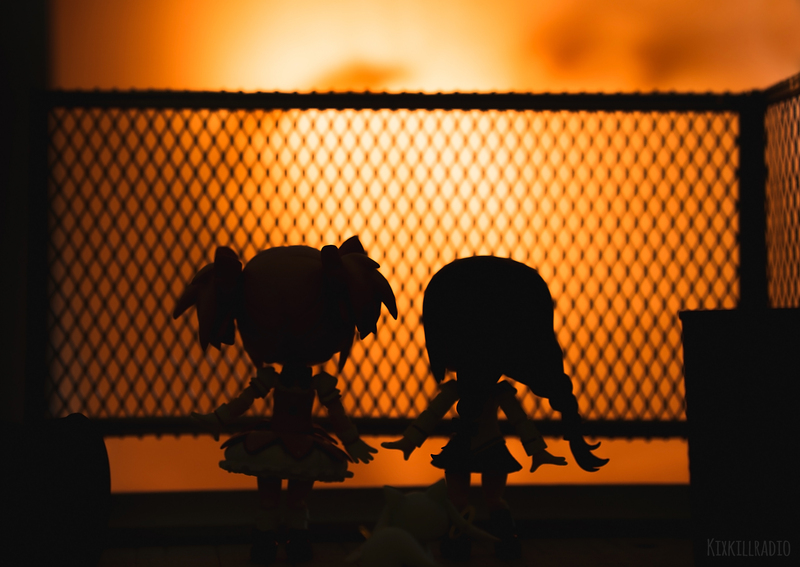 I don’t care because if it’s for you, I’ll stay trapped in this endless maze… Forever. 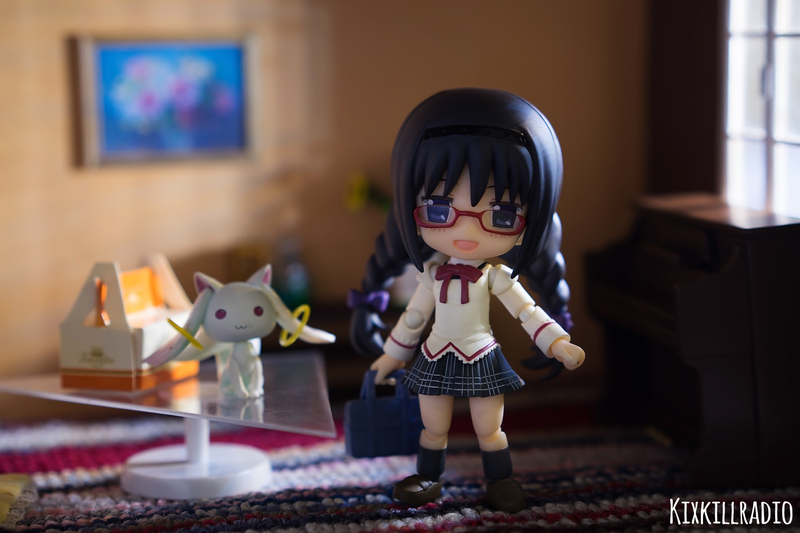 Overall, this Cupoche figure is a wonderful addition to your Puella Magi Madoka collection. 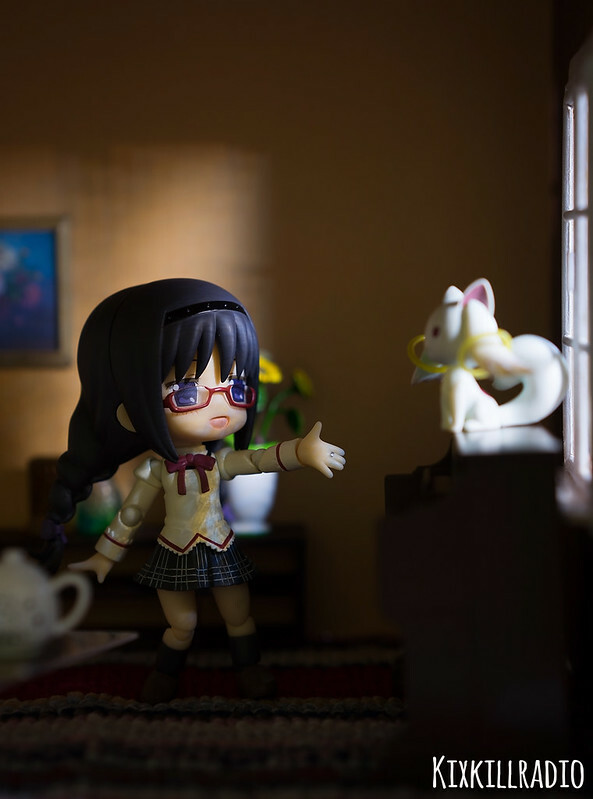 You can also use Akemi’s uniform for Madoka or even Sayaka. 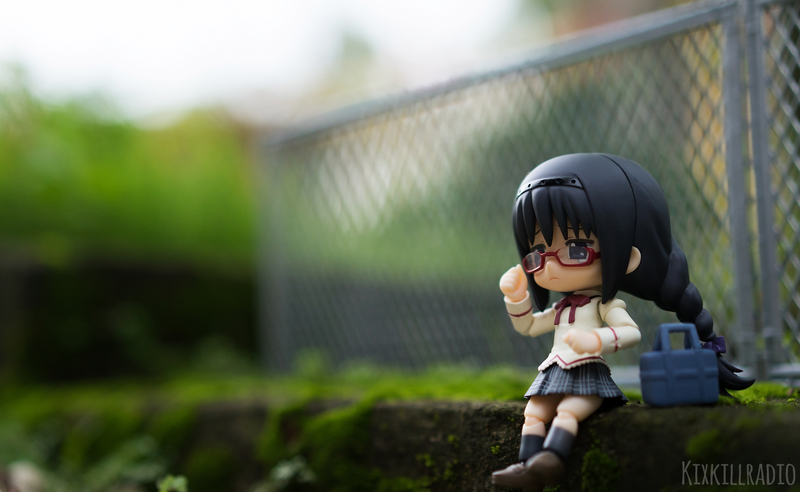 If I have 3 of these, I would definitely capture their ordinary school lives. 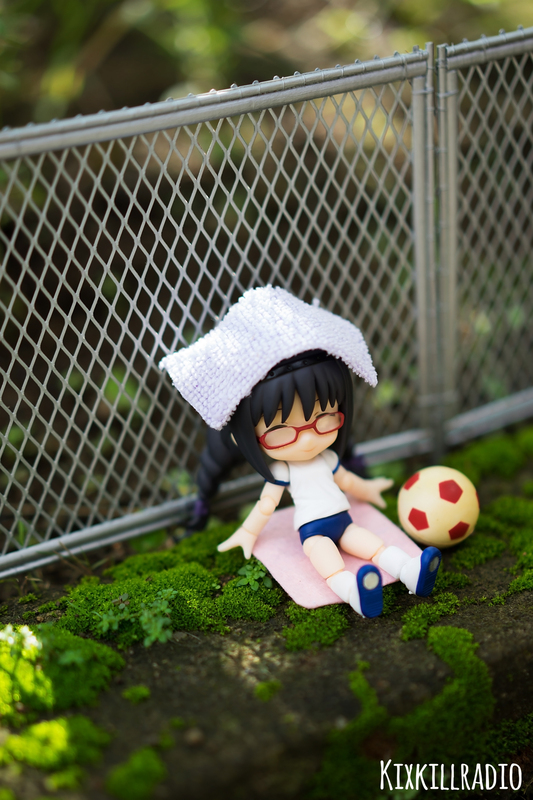 Cu-poche is a figure that you would love to bring outdoor. Their beauty stands out along with the wonders of nature. Seriously, passing out from the warm-up? 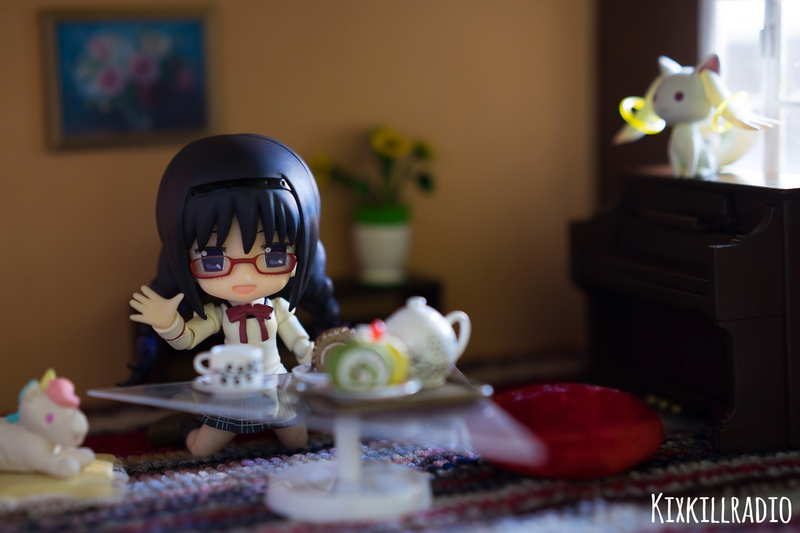 Oh well, she had to stay inbed for half a year.. It’s kinda understandable.. 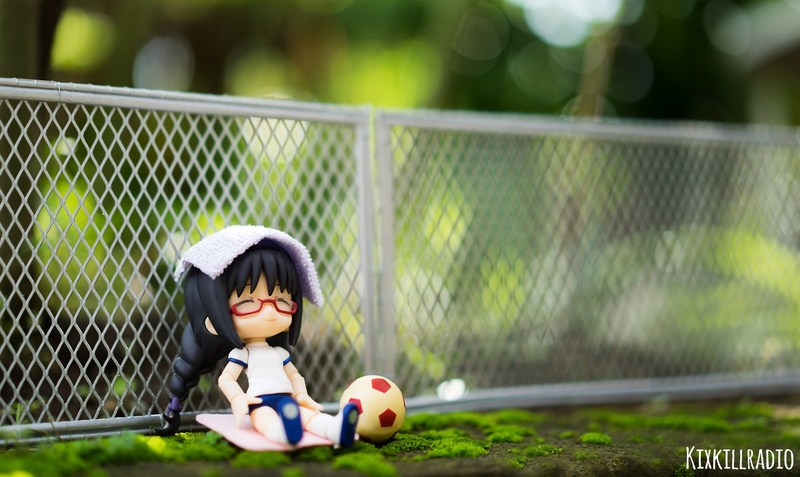 I love her glasses, the closed eye face and most of all the energetic smile.